Mr. Boombastic collabs with an Englishman in New York! Why See Sting with Shaggy? 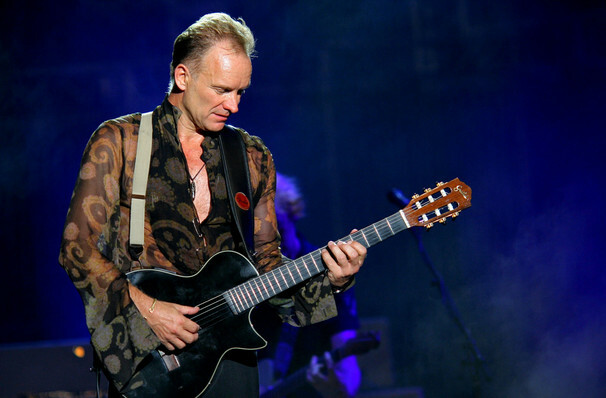 Sting and Shaggy Co-Headline: 44/876 Tour! Mr. Boombastic meets an Englishman in New York! Rock legend Sting and reggae master Shaggy have made history in being the most unlikely pair to collaborate together. It's a musical partnership that has led the duo to yield a full-length album together, 44/876, and take it out onto the North American road in a co-headlining tour this fall. The duo first hooked up in an LA studio when Shaggy sent Sting an in-progress tune, 'Don't Make Me Wait', and the British star was instantly struck by the infectious tune. Turns out, the pair enjoyed the experience of working together so much that they went on to create a full-length album based on Caribbean music and sounds that have influenced them individually. Expect to hear a selection of tracks from their new album, as well as Sting and Shaggy collaborating on each others hits including 'Englishman in New York', 'Every Breath You Take', 'It Wasn't Me', and 'Mr. Boombastic'. Make sure you don't miss out on what could be a once in a lifetime experience! 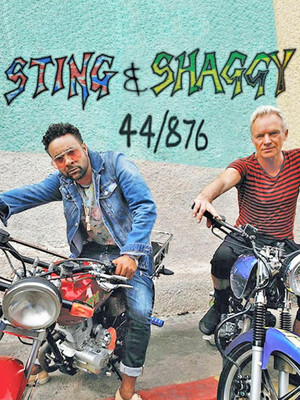 The title of the album, 44/876, pays homage to Sting and Shaggy's respective home countries and refers to their countries calling code - North American area code for Jamaica (876) and United Kingdom's (44). Sound good to you? Share this page on social media and let your friends know about Sting with Shaggy at House of Blues. Please note: The term House of Blues and/or Sting with Shaggy as well as all associated graphics, logos, and/or other trademarks, tradenames or copyrights are the property of the House of Blues and/or Sting with Shaggy and are used herein for factual descriptive purposes only. We are in no way associated with or authorized by the House of Blues and/or Sting with Shaggy and neither that entity nor any of its affiliates have licensed or endorsed us to sell tickets, goods and or services in conjunction with their events.